In my experience with cilantro, people either really love it. Or they despise it (a very real, genetic aversion to it where it taste like soap), making very sure to say "NO cilantro" when ordering, or physically picking it out of salsa, or whatever. Love it or hate it, cilantro is a wonder! It is SO MUCH MORE than an herb and an addition to fish tacos or guacamole. I have a new found love for this herb and am using it very consistently in my healing protocol. Historically, it’s been used as a cure all to aid digestion, anxiety, insomnia, pain, infection and circulation. However, its real heavy hitting healing powers are its ability to mobilize toxic heavy metals like mercury, cadmium, lead and aluminum so they can be removed from the body. CILANTRO GETS INTO CELLS | It’s probably the only effective mobilizer of mercury stored within a cell, and within its nucleus. That’s why it’s thought to even help reverse the DNA damage caused by mercury. IT REACHES HARD TO REACH PLACES | According to my absolute go-to detox guru Dr Dietrich Klinghardt, cilantro can find and mobilize heavy metals in bones and the central nervous system. Especially the brain. Because this power herb can cross the blood-brain barrier it gets into the central nervous system and does its work within the brain. 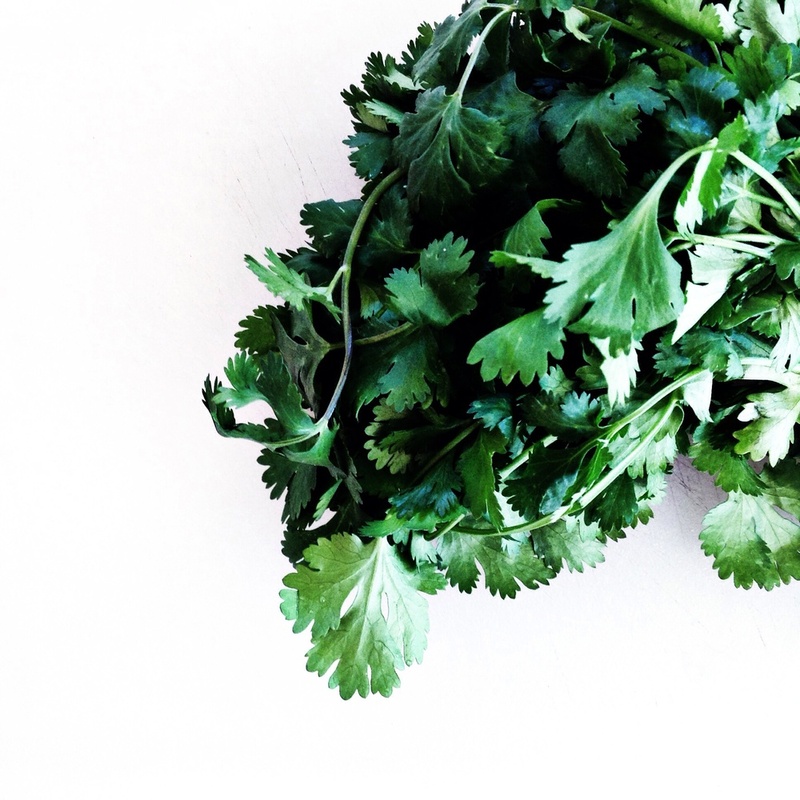 Cilantro is actually almost too good at mobilizing heavy metals. So because it sometimes mobilizes more than it can transport out, there is the possibility for it to leave some behind in the connective tissues. This is what we call re-toxification and is essential to avoid during detox. **There is a helpful and necessary solution to this: Take cilantro with one or more chelators like Chlorella or Zeolites to make sure that everything is moving out of the body. ANTI-BACTERIAL | It contains a natural antibacterial compound called dodecenal that’s been shown to fight off Salmonella poisoning. AIDS DIGESTION | Cilantro oil promotes the production of digestive enzymes for all around smoother digestive health. ANTI-INFLAMMATORY | It’s a natural anti-inflammatory and helps to alleviate the symptoms of arthritis. ANTI (AND PRO) CHOLESTEROL | Regular intake of cilantro helps to reduce bad cholesterol (LDL) and increases good cholesterol (HDL), while helping to maintain the health of the heart. METAL DETOX | rub 3-5 drops twice a day into ankles for mobilization of metals in all organs, joints and structures below the diaphragm, and into the wrists for organs, joints and structures above the diaphragm. The wrists have dense autonomic innervation (axonal uptake of cilantro) and are crossed by the main lymphatic channels (lymphatic uptake). HEADACHES + PAIN | rub 10 –15 drops into painful area for almost instant pain relief.